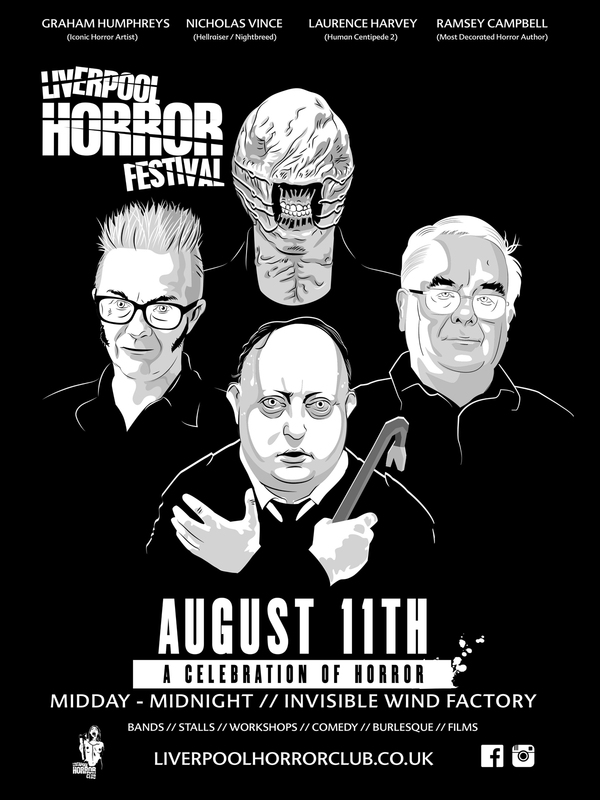 We return with our flagship festival celebrating horror in its many glorious forms. A horrific full day event – 12 midday til 12 midnight! Our venue for the day is the InvisIble Wind Factory and its basement: Substation. 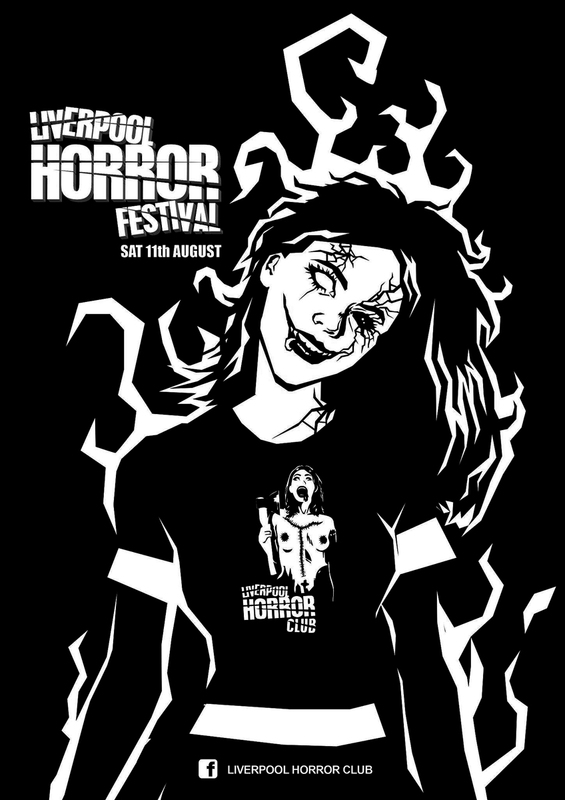 In the main IWF space, you’ll find a HORRIFIC MARKETPLACE which will be home to 25+ horror traders from Liverpool and beyond. Art, comics, crafts, pins, zines, cushions, posters, t-shirts, jewellery, and much more! We’ll have a MINI-BOOKSHOP where you’ll be able to browse work from local authors and small press publishers. Guiding you through these literary works will be a storyteller – who will read excerpts from the books and regale you with tales of horror & unnatural happenings. 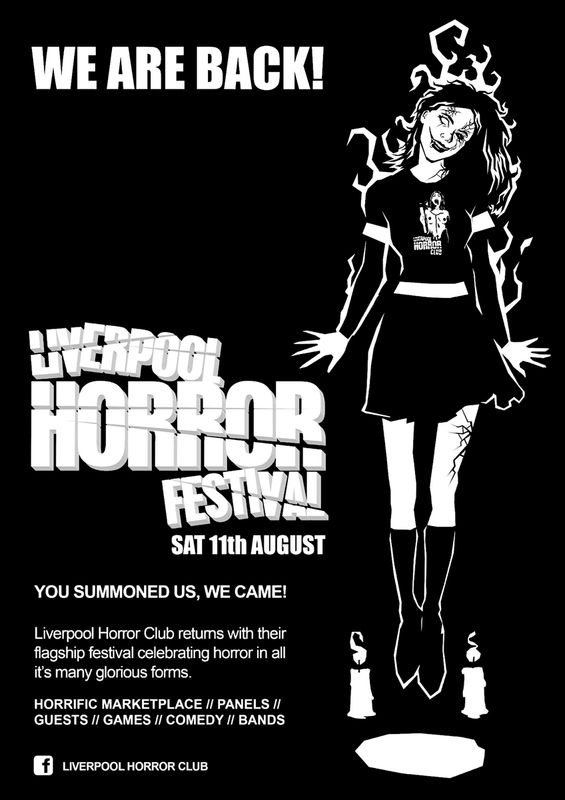 LIVERPOOL HORROR CLUB will have our own new t-shirt design available at the event. And we shall also have a limited number of 2018 Festival packs available for you guys to buy! We’re excited to announce that SCAREWOOD will be at our fest. Scarewood is the North West’s newest interactive horror experience coming to you this Halloween. Themed with demonic forest folk, roaming zombies, monsters and creatures of the night… and don’t forget the clowns! You’ll be able to grab a selfie with the monsters, book your tickets for their Halloween scare attraction, or possibly be recruited into the service of the Darklord’s Army? Also expect fun & games, and maybe a quiz too (there will definitely be opportunities to win prizes). People attending in costume should be prepared to be dragged onstage to show off how boss you look! BITLORD GAMES will be filling a room with horror video games for you guys to checkout. Retro consoles, modern Xbox/Playstations, and even some spanking new VR systems! You can play just for fun, or get super competitive and take part in prize tournaments running throughout the day. Did you ever imagine that you would see a Patrick Bateman poledance routine, or a Frankenhooker burlesque!? Well now is your chance. Please get your beautiful booty down to IWF/Substation on the 11th August – we will be partying until midnight! As we drift into the evening we’re going to have an interval during this swapover period between the two sections of the event. We suggest using this as an opportunity to grab some food.and stretch your legs. Free admission for children under 12, but they must be accompanied by an adult at all times. The evening portion of the event is over 18s only. ID will be required (Challenge 25). This is a fantastic venue full of character and weird decor, and is operated by the Kazimier crew who are behind some of the best performance parties which Liverpool has ever witnessed! HOT FOOD: Healthy & Vegan options, as well as something meaty for the carnivores amongst you! We’ll be announcing panels, guests, and specific content in the few weeks leading up to the event via our social media pages [instagram] [facebook]. Here’s the facebook event page [link]. Or you can join our facebook group for early info and teasers [link]. If you have any questions, please get in touch through the contact page.